Not sure how to set up your amp to play Blues? No problem. In this lesson I will show you how to set up your amp to get a great Blues guitar sound. I’ll also point out the number one mistake that most guitar players make when they start setting up their amps to play Blues. 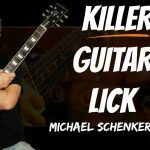 If you were struggling with how to get a good blues sound, with this lesson you will solve your problems and get an awesome Blues Guitar sound! How can you get a great blues guitar sound and how should you set your amp up? In this step by step lesson I’ll show you a simple method for setting up your guitar amp so that you can get a great blues guitar tone out of your speaker every time! In this guitar lesson I’ll show you how to set your amp for a great blues guitar sound every time. Here’s a breakdown of what you’ll learn in this lesson. See the front panel of my tube amp to see how I set it up. I set the bass and treble controls to about 6-7 and the mid to about 3-4. Try sweeping through the mid control though to find the ‘sweet spot’. The mid control is very influential on your sound. Presence controls the overall brightness and I normally set it to about 2-3. A touch of reverb is often nice but don’t use too much! Also with gain or distortion – be aware of using too much! We want a nice crunchy, singing tone that isn’t too ‘fuzzy’ sounding. Try the different pickups on your guitar. I normally use the neck pickup on my strat for a warmer sound. The bridge pickup is a little too bright for my tastes – but it’s a personal thing so make up your own mind here. Here’s a simple way to use the same amp settings for solos and chords without being too loud. Simple…but free! 3:26 Many guitarists use way too much distortion and reverb when they play blues. I definitely used to! It takes away the definition of the notes and ‘muddies’ your playing. Try turning the reverb and gain controls down as low as you can stand them and see how you like it.